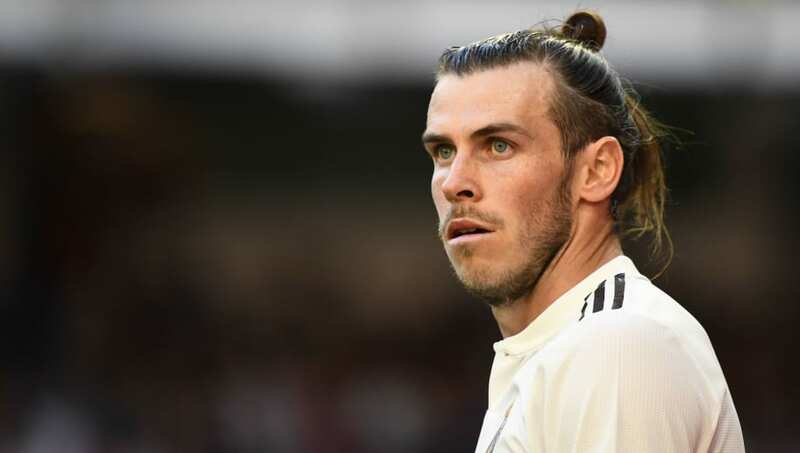 ​Former Tottenham star Gareth Bale has revealed that he counted Arsenal stars Thierry Henry and Dennis Bergkamp as two of his favourite players growing up, as well as Manchester United's Ryan Giggs, who is now his manager for Wales. Bale made 253 appearances for Tottenham between 2007 and 2013, developing from a young left back into one of the best forwards in the world, and earning himself a €90m move to Real Madrid in the process. In what is likely to be a less than popular admission from a man still highly thought of by the ​Spurs faithful, however, the 29-year-old has said he once had an admiration for their North London rivals. He said on ​​BT Sport's 'What I Wore' series: "I used to watch ​Arsenal a lot. "I used to really enjoying watching Henry, and I used to like watching Dennis Bergkamp as well. Tottenham fans wouldn't be happy that I'm holding this. "Giggs was a massive influence. He was my hero growing up, obviously being Welsh, left-footed, I looked up to him a lot, I used to enjoy watching him play. "Like all kids do, they want to be a player, I used to shout that I was Giggs, but I didn't have quite the hairy chest!" Bale has starred under ​Manchester United legend Giggs on the international stage, but wasn't risked for the 1-0 win over Trinidad and Tobago at the Cardiff City Stadium on Wednesday, which came courtesy of a stoppage time winner from ​Liverpool's Ben Woodburn.